Experience the frenzy, the craziness, and the daring exploits and rule-breaking joy of classic silent comedies, seen with live musical accompaniment…. original, lively jazz-infused scores by Atlas resident curator and musician, Andrew Earle Simpson, plus a special guest jazz ensemble. 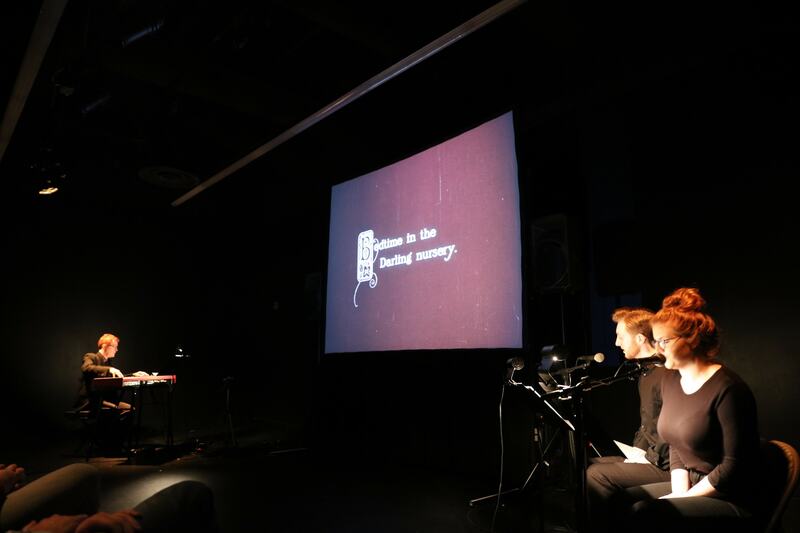 Andrew Earle Simpson is an acclaimed composer, pianist, organist, and conductor who seeks organic connections between music and other disciplines. 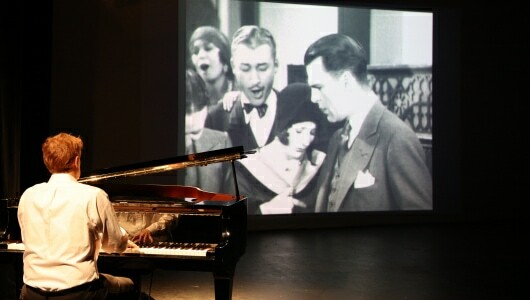 A composer of opera, silent film, orchestral, chamber, choral, dance, and vocal music, his musical works make multi-faceted, intimate connections with literature, visual art, and film, reflecting his own interest in linking music with the wider world, an approach which he calls “humanistic music.” As one of America’s foremost silent film musicians, Simpson specializes in silent film accompaniment, and has performed and conducted his solo, chamber, and orchestral film scores across the United States, Europe, and South America. He is Resident Film Accompanist at the National Gallery of Art and regularly featured accompanist at the Library of Congress’ Mt. Pony Theater in Culpeper, VA. Simpson’s chamber, choral, and silent film music has been recorded on Naxos, Albany, Fleur de Son Classics, Capstone, Athena, and other labels. His silent film scores have been broadcast on the Turner Classic Movies Channel, and many of his silent film piano and chamber scores are available on DVD through Kino-Lorber, Flicker Alley, Olive Films, and All Day Entertainment. Andrew Simpson is Ordinary (Full) Professor of Music at the Benjamin T. Rome School of Music of The Catholic University of America in Washington, DC. For more information, works lists, and recordings, visit www.andrewesimpson.com.